Keep an ace up your sleeve for emergencies with the Secur 6-in-1 car charger. It features a cigarette lighter charger with USB port to power and charge your phone as you drive. Or, use it as a portable power bank to keep your devices charged on the go. It also includes an LED flashlight, a flashing red emergency light, a seat belt cutter, and a window breaker. 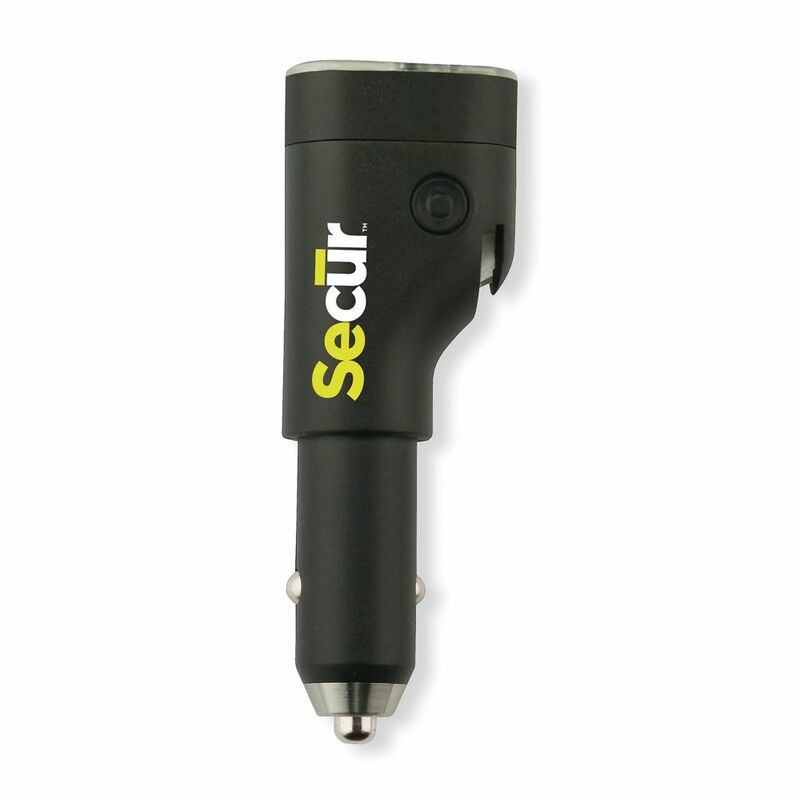 Six In One Car Charger Keep an ace up your sleeve for emergencies with the Secur 6-in-1 car charger. It features a cigarette lighter charger with USB port to power and charge your phone as you drive. Or, use it as a portable power bank to keep your devices charged on the go. It also includes an LED flashlight, a flashing red emergency light, a seat belt cutter, and a window breaker.